Is it possible have overlay of global heat map strava on Google Earth?? Hello, i join to this question. It would be extremely useful having Strava Heatmap available as an WMS overlay on top over any supported map (raster, vector or online). @passosk58: this is Locus Map forum, not Google Earth's, sorry. @Bucky Kid: have you read this Locus blogpost >>? It's the only way how to get Strava heatmap in Locus. WMS is not possible as Strava does not provide WMS data source. It's working for me as overlay. Thanks for the hint, although not all maps can be overlayed. Some offline maps allow the overlay while some not, what's making the difference? Docs is quiet. Same with online maps - Google allows overlay, SmartMaps not. Ah, ok. So to be clear: It doesn't work with all map types. Where can we find the list of non supported map types? Select the function in Menu > More functions > Map Overlays. 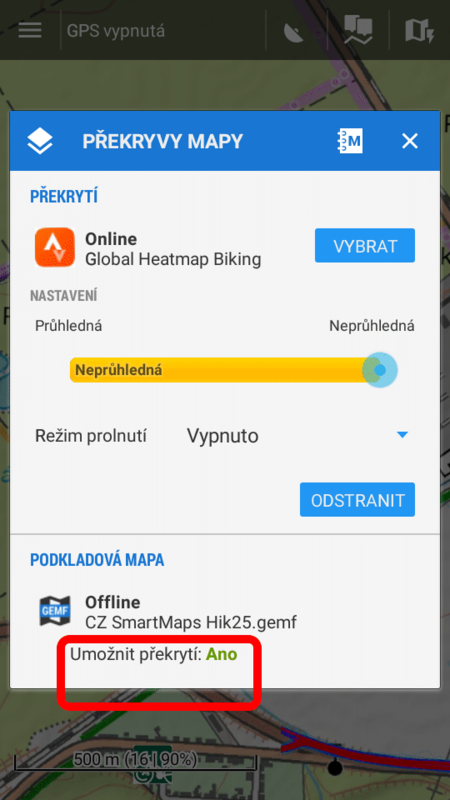 Again you can choose any map available in the Maps Manager. the Overlay article in the Manual was amended of the supported formats, thanks. Currently I'm not able to view any heatmaps as overlay (neither as solo map). So Strava online maps will never again work? I still can view their maps via web interface as anonymous user. I didn't say that . We're working on it. And Locus isn't a web browser so there are different terms.